TORONTO - Another round of job cuts is rippling through the operations of Sears Canada Inc. (TSX:SCC), affecting more than 1,600 positions as the company looks for ways to lower expenses. The retailer says it has eliminated 283 jobs at warehouses across much of the country in a move to simplify logistics. The warehouses affected are in Calgary, Montreal, Belleville and Vaughan, Ont., and a Vancouver suburb. Sears Canada will also outsource the 1,345 associate jobs at its three customer call centres in Toronto, Montreal and Belleville, Ont., over the next nine months. IBM will become the third-party vendor for customer services, with its English-language phone operations being handled out of the Philippines and French calls going to an office in Europe, said spokesman Vince Power. The company's call centres handle catalogue orders, gift registry and parts and repair services. Sears Canada has been scaling back its call centres for several years. The company closed its Hamilton office in 2008, laying off about 140 mainly part-time staff. A year later it shuttered the Regina office, laying off 250 people. The latest employee reduction is necessary for the health of the company, said president and CEO Doug Campbell. "These types of decisions are not made without considerable thought and deliberation,'' he said in a release. Sears Canada is trying to reduce costs and improve its overall business as part of a three-year turnaround plan. The company is dealing with intense competition within the retail sector and a slate of aging stores that it began plans to renovate before the departure of its previous CEO, Calvin McDonald. Since last year, Sears Canada has sold off the leases for some of its most prominent locations and has been more aggressive in cutting the number of employees across its operations, from head office positions to customer service. On Wednesday, Seattle-based retailer Nordstrom Inc. announced plans to open a department store at the Toronto Eaton Centre by the fall of 2016. The high-end store will replace the Sears location at the popular tourist mall. 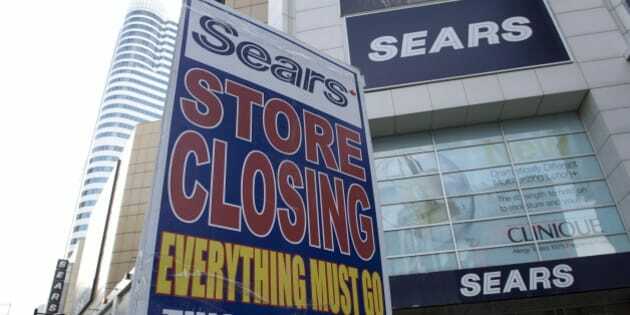 Last week Sears Holdings Corp., the department store retailer's U.S. parent company, said that sales at its Canadian stores dropped 4.4 per cent in the busy holiday sales period between Nov. 3 and Jan. 6. Sears Canada followed with its own announcement highlighting that same-store sales in its apparel and accessories business actually increased 1.5 per cent in the same period. The Canadian operation reports its financial results on Feb. 26.